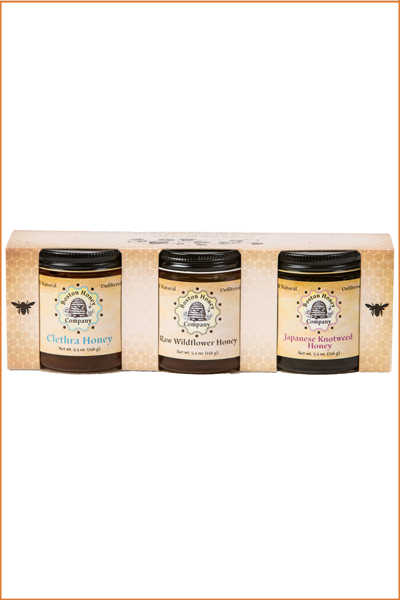 Our gift packs are a selection of our Massachusetts’ honeys. Celebrate our harvest season! Give as a gift; host a delicious honey and cheese tasting party; add to your gourmet holiday table; or simply enjoy the unique flavors!